Honey enjoys strong prestige in Georgia. Georgia boasts floral diversity, abundant bee-friendly alpine meadows and a long tradition of beekeeping. Production and export represent a very promissing sector of agriculture. But the situation of beekeepers in Georgia is rather difficult. The main challenge for growth of production for local retail as well as international markets are issues related to quality and food safety. Only few bigger beekeepers can afford to use stainless steel, which is the norm for higher food safety standards. Beehive management, nutrition and migration conditions as well as sanitary treatments are all very basic. In general, there are only few professional beekeepers as honey production is viewed mainly as a sideline business. By far the largest number of beekeepers in the Mashavera Valley own only a few beehives and do not live on beekeeping. Their productivity is low. The average harvest per hive and year does not exceed 10-15 kg, while the average yield in Germany is twice as high. The main reason for this is lack of theoretical knowledge and out-dated methods. Internet access is not a matter of course, modern technologies or literature are hardly available, and money for equipment is scarce. Most of the beekeepers learned the techniques from their fathers and grandfathers. While in the USSR large bee farms were run by the state, they soon crumbled after independence in 1991. Technical infrastructure and sales collapsed. Thousands of beehives passed into the hands of people who often had no experience in dealing with them. Nevertheless, honey production is contributing an important additional income to the rural population. 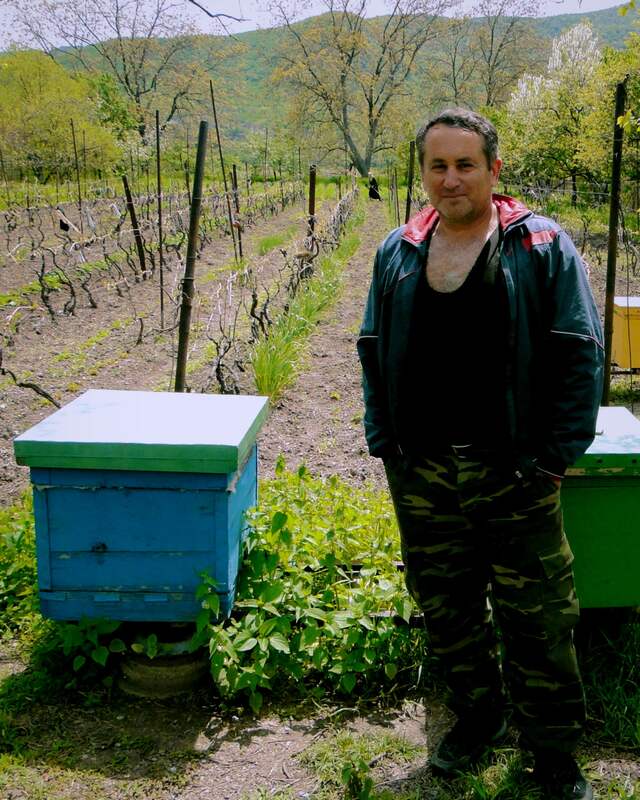 There´s about 18,000 beehives in the Kvemo Kartli region today, but only about 12% of the beekeepers manage more than ten hives. Prices for honey almost correspond to those in Western Europe and are therefore very high in relation to income. Further Informations in the 2017 EU-Study »Honey Value Chain«.